In medicine, it’s clear that a single drug can work differently for different people. The same medication that completely eradicates symptoms in one patient might be ineffective for another patient. And most of the time, the why remains a mystery. Puzzling though it may be, scientists are on the case, trying to find out the factors that could mess with a person’s drug response. And they are starting to zero in on something unexpected—bacteria. Each person has an individual mix of microorganisms in their gut—including bacteria, fungi, and viruses—that play a role in processes related to immunity and metabolism. The ‘gut microbiota’, as these are known, have piqued interest as a factor that could influence drug efficacy. Several recent studies have aimed to find out whether scientists can predict who will respond to a drug by looking at which bacteria a person has in their intestines before the drug is administered. Human lives and bacterial communities are too complicated to allow examination of these factors in a systematic way, so for insights, groups of scientists have turned to a worm known as C. elegans (“elegans” is pronounced like “elegant”). The worm is especially useful for scientific experiments on the gut microbiota because it eats different types of bacteria. The scientists in one recent study examined three chemotherapeutic drugs, often used in cases of digestive system cancer: 5-fluorouracil (5-FU), 5-fluoro-2′-deoxyuridine (FUDR), and camptothecin (CPT). They watched how the worms responded to these drugs when fed different kinds of bacteria; if the worms were able to produce live offspring after their treatment, the drug was deemed effective. The bacteria eaten by the worms turned out to affect their responses to FUDR and CPT. But the effects of a given bacteria on the medications were variable: for the drug FUDR, worms fed the bacteria Comamonas were more successful than those fed E. coli; but for the drug CPT, the worms fed E. coli were better off. The particular species of bacteria seemed to be interacting with the drug and dictating its eventual effect on the worm. The next question the scientists asked was: what was it about the bacteria that allowed them so much influence over the drug’s efficacy? In the case of FUDR, the bacteria had to be live (as opposed to dead) cells in order to influence drug efficacy. So something about the workings of the live bacterial cells was critical for the effects of this drug, but not the other drugs. A second worm study published on the same day in the same journal went further with these findings by showing that, not only can microbes increase or decrease the effects of cancer drugs in this same class (fluoropyrimidines), but also, these microbes have to take in signals from both diet and drugs in order to do so. Taking 5-FU as an example, the bacteria and the worm appeared to work together to process the drug into an active form and also to influence the supply of substances needed for 5-FU to carry out its work. We don’t yet know whether a human’s gut microbes can significantly influence response to cancer medications, but evidence is increasing for bacterial influence over a range of anti-cancer drugs. 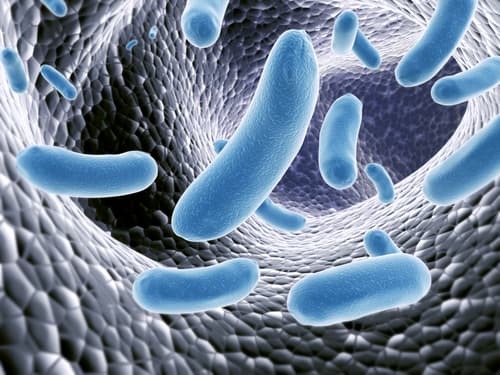 Other studies in mice, for example, have shown that harmless bacteria in the gut enhance the cancer-targeting immune responses of the drug cyclophosphamide. Scientists are only beginning to uncover the ways in which bacteria might tweak immune system activity to make this type of medication more effective. The worms are just a start. But the research could lead to a future where, before your doctor prescribes a cancer drug, he or she might screen your gut microbes to check for the presence of bacteria that could help or hinder efficacy. It might take away some of the guesswork in supplying the right drug to the right person at the right time.